Madeira Beach welcomes those that wish to mix the beach and booze, as it stands as one of just a few beaches that allow open container on its white sand [Treasure Island and Redington Beach are the other two]. 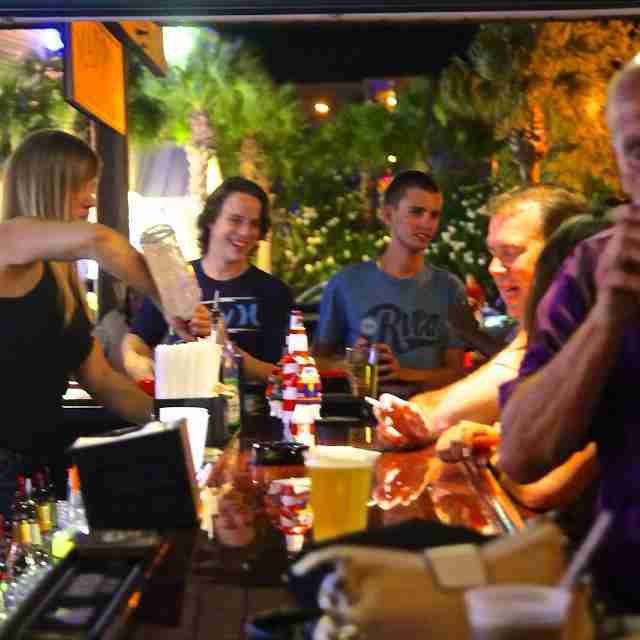 Seven bars, most within walking distance of each other, keep the fun going as you move off the beach. The Brown Boxer remains the beach’s best sports bar, and it also gets man’s best friend’s vote as the best pet­friendly bar on the beach. Enjoy one of dozens of TVs, solid bar food and a nice wait staff. If you’re looking for a proper beach bar, The Snack Shack, across from the Brown Boxer sits directly on the Gulf of Mexico. If you’re into local dive bars, check out the Old Oar House [on Madeira Way] or Kelly’s Mad Bar. Screwie Louie’s South Beach bar, the Daiquiri Shak, and the Mad Fish House round out the bars on Mad Beach. It should be noted that Beluga Coffee [behind Ocean Breeze Grill] is a nice spot for nightlife, even though the name doesn’t seem so ­ check it out, and you’ll understand. NOTE: The article does not include businesses located at John’s Pass Village & Boardwalk. Due to its size, John’s Pass has its own set of posts.